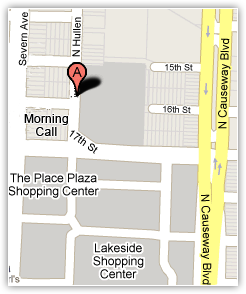 Our Metairie clinic is conveniently located behind Lakeside Mall at 3409 North Hullen Street. 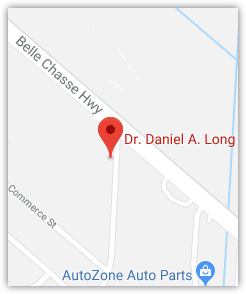 Dr. Daniel Caplan, Dr. Brendon Sumich and Dr. Jennifer Elumelu see patients at this location. Dr. Brendon Sumich is our Cataract Surgeon and Cornea Specialist. Dr. Jennifer Elumelu is our Contact Lens Specialist. 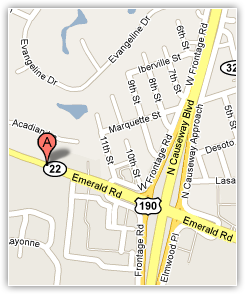 Dr. Benjamin Guidry (Retina Specialist) and Dr. Ze Zhang (Glaucoma Specialist) also see patients at our Metairie clinic.